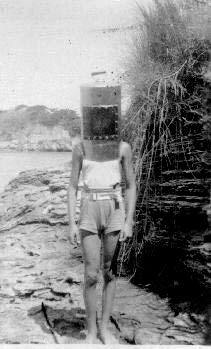 Shallow water helmet diving, as a tourist activity, was first started by my father, Bronson Hartley in 1947. He took five school teachers, one at a time, as he only had two helmets, and charged them five dollars each. 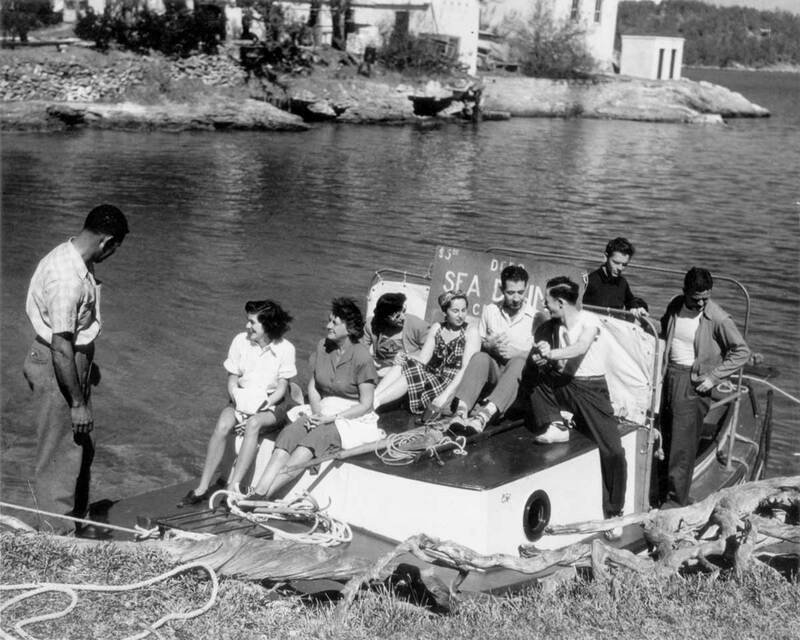 Every Sea Walker or Sea Trek is a franchised copy of what originated here in Bermuda. Only the method of diving was copied and not the mindset. 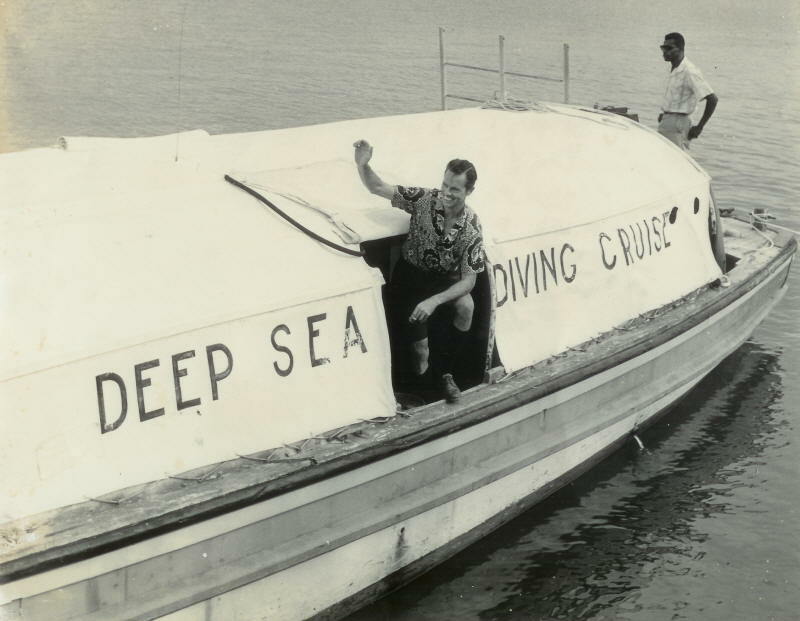 Bronson Hartley was a protege of Dr. William Beebe and a contemporary of Jacques Cousteau. 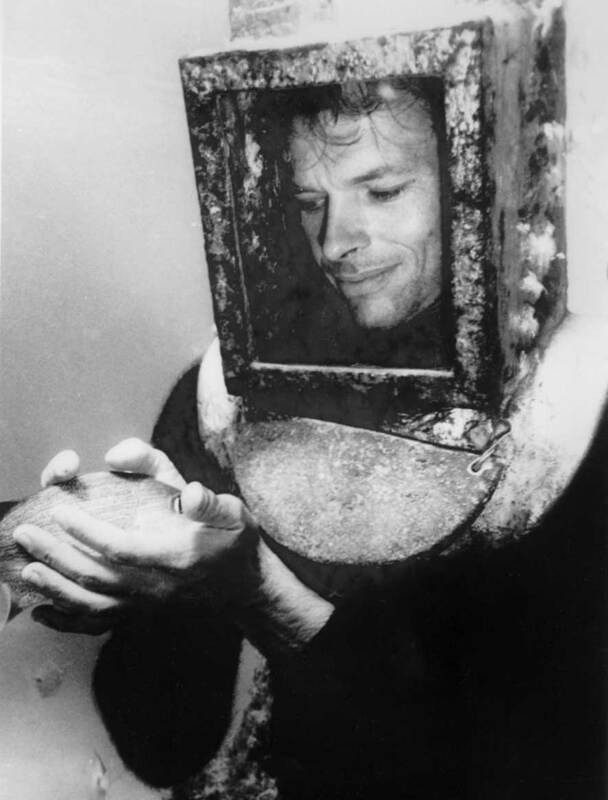 He came to Bermuda at age ten and built his first diving helmet that year. 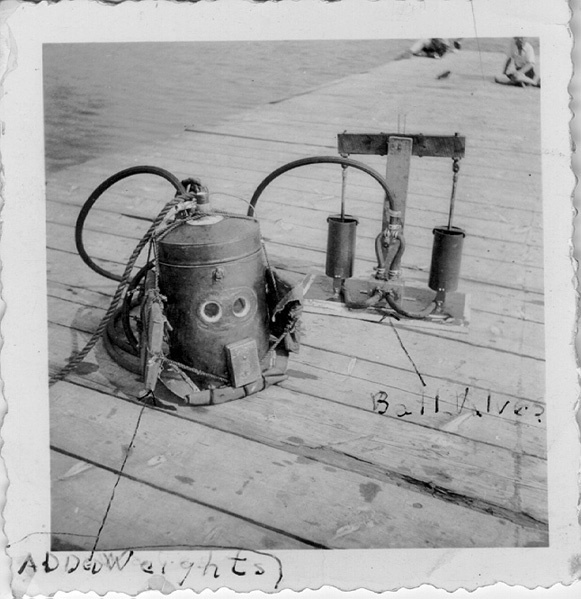 He made his own diving helmets and pumps (He bought the hoses), and was helmet diving before Jacques had invented the regulator. 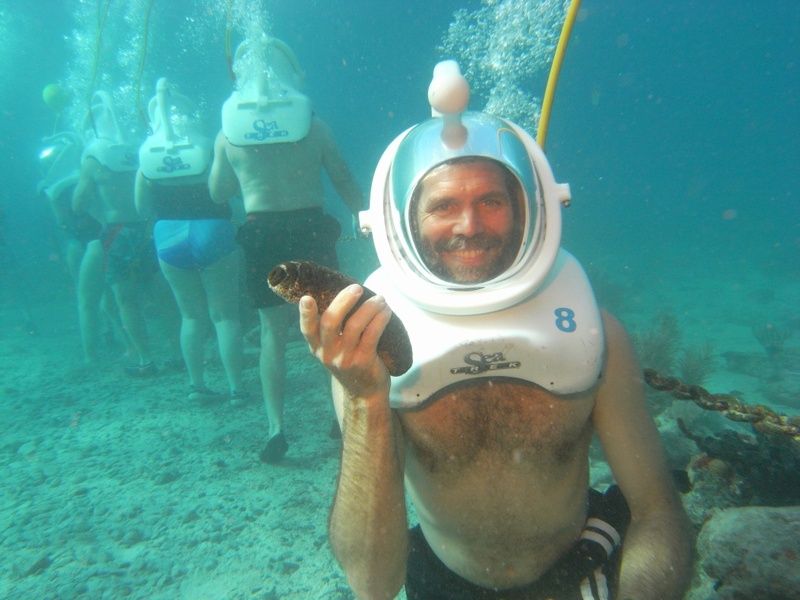 Scuba diving was only made possible by this invention.Scuba divers are advised to take only photos and leave only bubbles, which is very eco-benign. This philosophy is designed to limit it action of divers who may or may not know what they are doing. However it limits our opportunities to interact with other life forms and develop a win-win relationship. 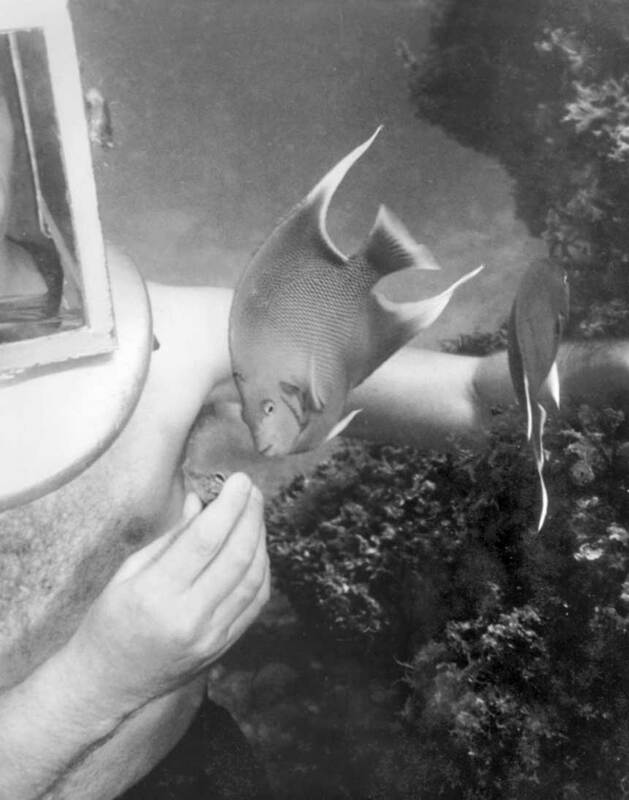 Most of the species of fish we have today in our program had already been tamed and trained by my father before I was born. Now instead of Helen the angelfish, we have Diana the angelfish. Instead of Theodore the hog fish, we have Charles the hog fish. Get it…Charles and Diana. The junior league started independently in the early 80’s back when that royal wedding took place. However, our blue stripped grunt is still named George in honor of Bronson’s original one. So the rebellious idea is to make friends with the fish. If you offer them what they want, they will come to know and trust you. Then you will be able to lovingly manipulate them into the situations seen in the photos on this site, not common elsewhere, where fish are posing in the portraits and even allowing themselves to be held. Ladies do not abuse this powerful information regarding the subjugation of large wild animals. 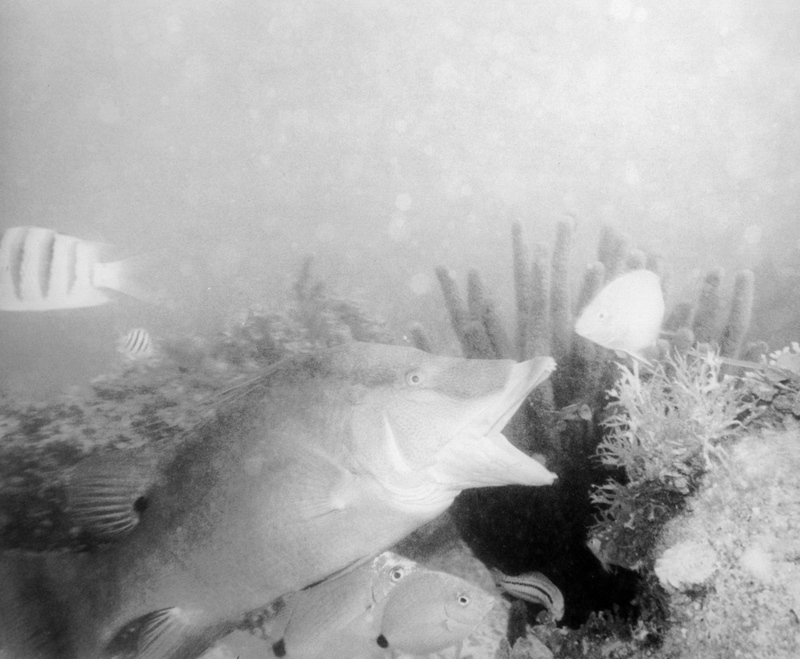 A word of caution, each fish thinks this whole program is all about feeding just them. There is competition between them for the food and sometimes the hand holding the food gets in the way. 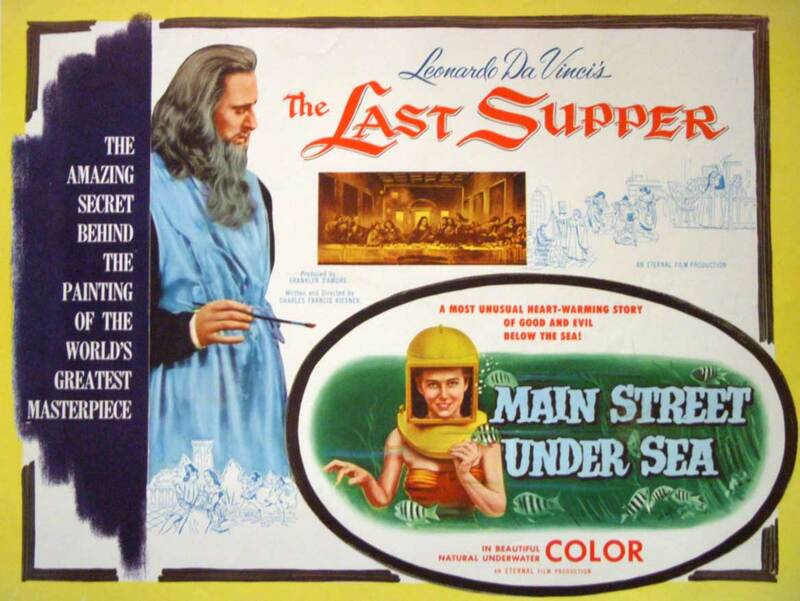 My father had many adventures, building boats, setting up another business in Nassau, Bahamas, making undersea movies and raising a family. He left the planet in 2006, and I am honoured to carry on his legacy.